Riversdown House itself is originally a fourteenth century old English Manor house, built on the site of a Roman settlement from 1AD. The foundations of the original medieval hall were laid in 1328. The novelist Jane Austen is believed to have visited the house. 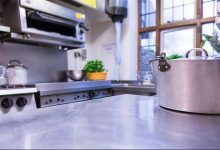 You are accommodated in one of 10 private rooms each with its own bathroom (7 ensuite) either in Riversdown House itself or in Garswood which is a minute’s walk away and next to the learning centre. Coffee and tea-making facilities, free laundry service and free wifi are available for every student. The house is yours to relax in and enjoy during your stay with us. It also has 8 student rooms as well as the dining room where you take all your meals, the historical living room, lounge with TV and bar. All the rooms overlook our beautiful landscaped gardens and golf course. 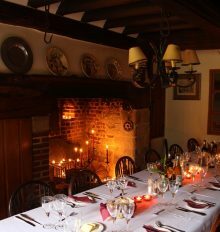 Excellent international cuisine is provided by our chefs, including a three-course dinner with wine, served in Riversdown House’s historic dining room where you will eat with fellow students and staff. We are able to cater for all dietary, religious and cultural requirements including halal and kosher cooking. Your learning centre, or “The Chicken Shed” as it is known by staff and students, is located a minute’s walk away from the main house, next to the golf course. The building houses sixteen private classrooms, the “boardroom” for presentation practice, a computer centre and communal area for your social learning breaks. In addition, our staff offices are also located here so we are always available for you during the day to help with any need or request you have. Wifi is provided throughout the building and your classrooms. 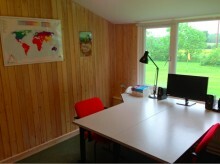 Students classrooms are housed together in our learning centre. Each classroom comes fully equipped with materials and is insulated to provide an optimum environment for study and concentration. Each individual student or small group has their own private classroom, and this is yours to use exclusively, both inside and outside of formal study sessions.